for better high-speed stability, an important asset based on the driver’s exacting demands. 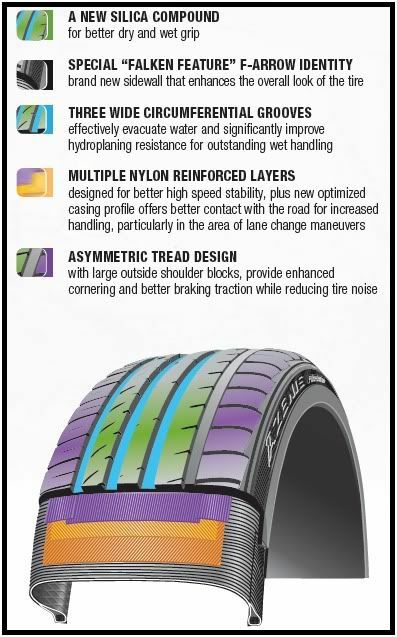 Retains the tires profile during some of the most extreme driving conditions helping to improve high speed stability and handling. and grip for those seeking ultra high performance needs. 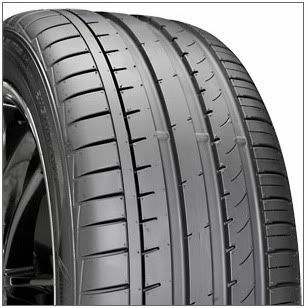 If you are running the Falken Azenis FK453, post your review here along with a picture or two. We, as well as Falken, would love to read them. Last edited by Discount Tire; 10-09-2012 at 02:32 PM. Bump - FK453 Product Video has been added to the OP.